The statements made about the nutritional supplements we sell have not been evaluated by the Food and Drug Administration. The nutritional supplements we sell are not intended to diagnose, treat, cure or prevent disease. Content contained on or made available through this site is not intended to provide and does not constitute medical or healthcare advice nor can it be relied upon as preventative care, cure or treatment for any disease or medical condition. You should consult with a qualified healthcare professional for advice regarding the diagnosis and treatment of any medical condition and before starting any vitamin, herbal or dietary supplementation, nutritional, exercise or other medication program. Your use of information available on or through this site is your own responsibility and own risk. 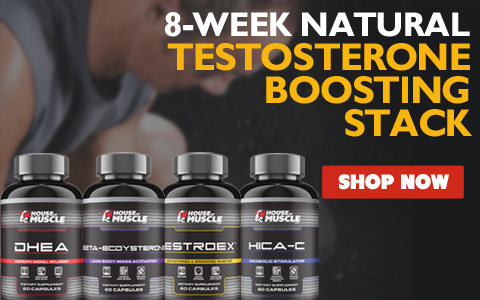 This site is provided by HouseOfMuscle.com, LLC on an "as is" basis. We do not warrant that this site will be uninterrupted or error-free. There may be delays, omissions, interruptions and inaccuracies in the news, information or other materials or content available through this site. We are not responsible for the availability or content of other services that may be linked to this site. We do not make any representations, nor do we endorse the accuracy, completeness, timeliness or reliability of any advice, opinion, statement or other material or database displayed, uploaded or distributed on this site or available through links on this site. We reserve the right to correct any errors or omissions on this site. Although we intend to take reasonable steps to prevent the introduction of viruses or other destructive materials to this site, we do not guarantee or warrant that this site or materials that may be downloaded from this site do not contain such destructive features. We are not liable for any damages or harm attributable to such features. If you rely on this site and any materials available through this site, you do so solely at your own risk. To the fullest extent permissible by applicable federal, state and local law, HouseOfMuscle.com, LLC disclaims all warranties, express or implied, including, but not limited to, implied warranties of merchantability, noninfringement and fitness for a particular purpose with respect to this site or any information or goods that are available or advertised or sold through this site. Without limiting the foregoing, this disclaimer does not apply to any product warranty offered by the manufacturer of the item. Houseofmuscle.com will not be liable for any damages of any kind arising from the use of this site, including, but not limited to, direct, indirect, incidental, punitive, and consequential damages. All trademarks, text, logos, graphics, images, designs and other content ("Content") on this Site are the property of HouseOfMuscle.com, LLC, unless otherwise indicated, and are or may be subject to the protection of U.S. copyright and trademark laws and international treaties, all rights reserved. No Content may be copied, reproduced, republished, uploaded, posted, transmitted, or distributed in any way or disassembled or reverse engineered, except with the prior written permission of, and with express attribution to HouseOfMuscle.com, LLC. Modification of the Content or use of the Content for any other purpose is a violation of our or other sources' copyright, trademark and other proprietary rights. The use of any such Content on any other site or networked computer environment is prohibited without our express consent. These web pages are controlled and operated by HouseOfMuscle.com, LLC in the United States. 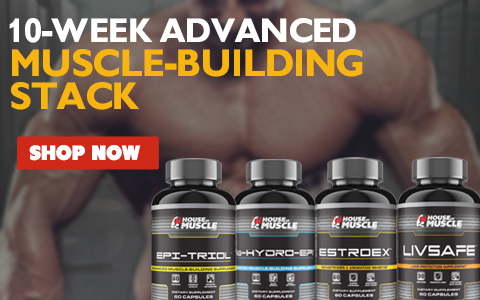 HouseOfMuscle.com, LLC makes no representation that the Content on these pages is appropriate or available for use in other locations or that this Site complies with any applicable laws outside the United States. Those who choose to access these pages from locations outside the United States do so at their own initiative and risk, and are solely responsible for compliance with local laws. All claims, disputes, and lawsuits arising out of or in connection with these Terms shall be resolved or adjudicated in Rhode Island. Please review our other policies posted on this Site. These policies also govern your visit of HouseOfMuscle.com.